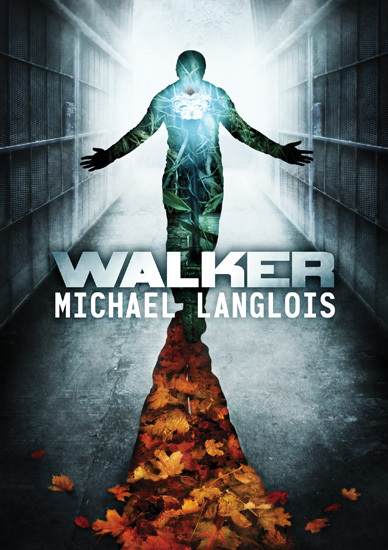 Above is my cover art and design for Michael Langlois’ forthcoming novel Walker. I worked with Michael before on his Bad Radio, The Emergent Earth, Book 1 cover which I posted a while back. This new novel is not part of the Emergent Earth series (Book 2 should be following next year though) but is an SF story about a man who discovers he has the power to travel between different worlds. Michael had a few different ideas for the cover. I chose his idea of a ‘silhouette’ cover, with the silhouette acting as a cutout looking into another world, to develop as I felt it would work best to encapsulate the themes of the story. I tweaked his idea for the pose of the silhouette and also added the idea of using the shadow on the ground to hint at another world so that along with the background we can show the man ‘walking’ between three worlds. I also added a few scattered leaves on either side to mirror the pose of the man. The book will be launched shortly. Keep an eye on Michael’s blog for when it’s released, and in the meantime below is a little teaser for the story. To read the full back cover blurb click here.